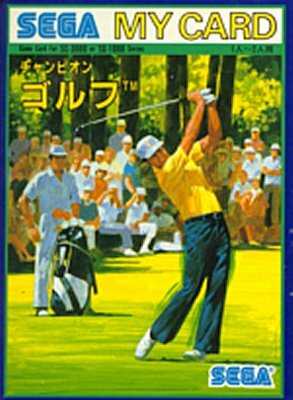 Champion Golf (チャンピオンゴルフ) - Games - SMS Power! 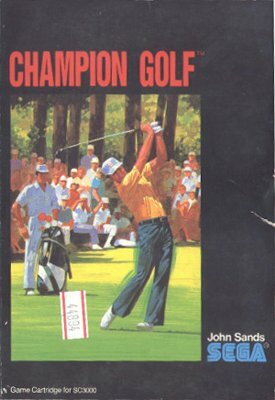 If it's raining on Sunday ... it's "CHAMPION GOLF" day. You can enjoy hitting the ball with the appropriate club to match the shot, walking around the course with the considerate caddie over its extensive fairways, roughs, greens, ponds and bunker areas. 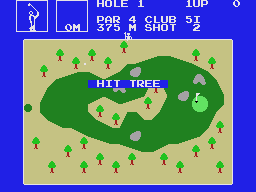 Getting a "Birdie", "Eagle" or an amazing "Hole in One", or the even more miraculous "Albatross" will make you feel like you are on top of the world. Small box. 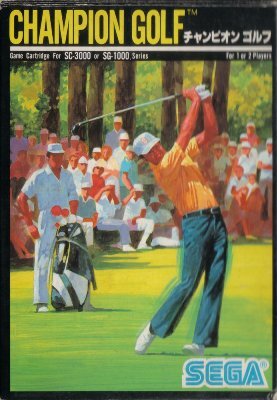 Black-bordered box artwork. Price printed on the back. Small box. 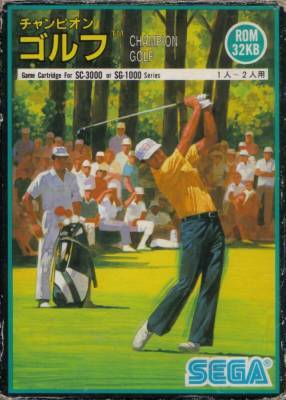 Black-bordered box artwork. Price sticker on the back. 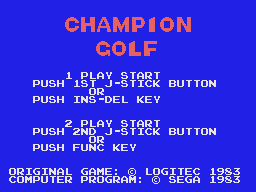 There is a development page for Champion Golf (チャンピオンゴルフ). Visit it to see technical discussion of this game.